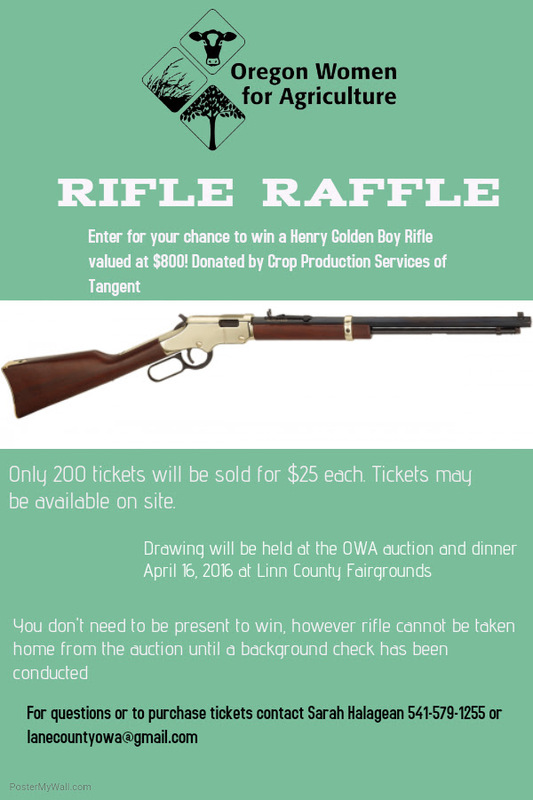 RIFLE RAFFLE – Purchase Tickets today! Only 200 tickets available for this Henry Golden Boy Silver series, .17, engraving “American Farmers Feeding the World”! Drawing will be held at our annual Oregon Women for Agriculture Dinner and Auction on April 16th at the Linn County Fairgrounds! Email or Call Sarah Halagean for more details or purchase tickets! Next: Next post: Ag Fest Is Coming!